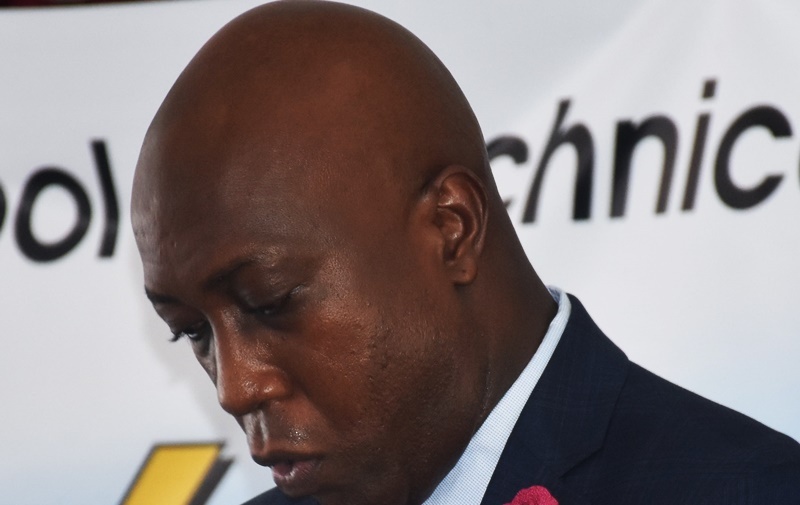 The usually vocal education minister Myron Walwyn has opted to be silent as calls mount for him to be more transparent and fair regarding his choice of the territory’s top student in recent exams administered by the Caribbean Examination Council (CXC). In a statement to some media houses on Friday, Walwyn announced that the territory’s top CXC student is Gabriella Chicester, who was enrolled in the recently established Grade 12 at Elmore Stoutt High School – a public institution. But some education stakeholders who contacted BVI News Online said the top performer should be Chris-Tiann Roberts of St George’s Secondary – a private school, which did not subscribe to the minister’s recent push to introduce Grade 12 in the education system. Stakeholders, who asked not to be named out of fear of the education minister, think the private school student was not named top performer, because that would be a blow to the minister’s decision to introduce an extra school year (Grade 12) in the school system. In essence, they theorize that the education minister is trying to save his own face and to punish the private school. Hence his ‘willy nilly’ decision to go against a regionally accepted norm in assessing who is the top CXC student. Across the Caribbean, countries determine their top CXC performer based on a single CXC exam known as the Caribbean Secondary Examination Certificate (CSEC). That is because CSEC is the only mandatory exam, and arguably the only one that provides a level playing field for assessing all (not just some) students leaving secondary schools. Other CXC exams – including the Caribbean Advanced Proficiency Examination (CAPE) – are not mandatory in secondary schools, and are not pursued by an overwhelming majority of students leaving secondary schools across the region. Here in the British Virgin Islands, CAPE is also not mandatory, and it is not yet clearly structured in the education system. In other words, students who pursue CAPE do so on their own accord. That controversial exam, nonetheless, is what the education minister said he brought into the equation to declare Chicester the territory’s top CXC student. Had CAPE not been considered, the top student would instead be Roberts, considering that she is the most successful in CSEC – the only CXC exam that is mandatory here. Roberts was successful in a whopping 12 CSEC subjects; 11 of which the minister said were attained with Grade One – the highest grade possible. Those grades placed Roberts among the best CSEC performers in the history of CXC across the entire Caribbean. Chicester, on the other hand, passed 10 CSEC subjects. The education minister did not reveal her specific grades – something his critics say is questionable. Chicester’s grades would have been necessary for the public to judge her CSEC performance against Roberts’. What the minister did, however, was to disclose that Chicester passed two subjects in CAPE – the exam that, as stated before, is not mandatory and not pursued by most students in the British Virgin Islands and other countries across the Caribbean. When contacted, the education minister, Walwyn, declined to respond to the call for transparency and fairness. He told BVI News Online to contact a particular examination officer on Monday. Once the Mueller report is out, another report on the Russia probe could land as soon as next month. It'll likely be directed at the former British spy behind an infamous “dossier” on Trump’s ties to Russia.